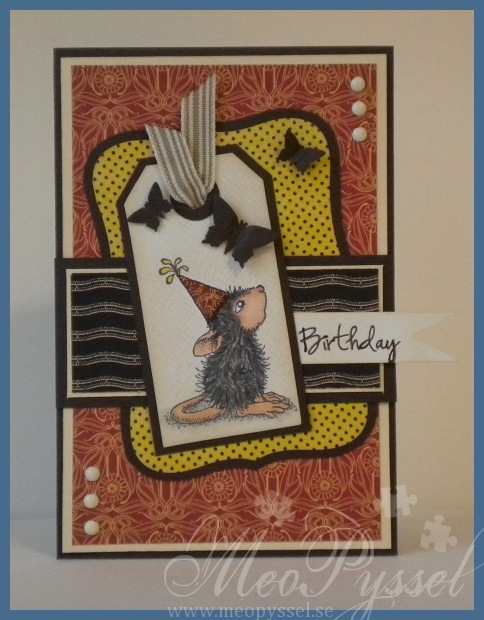 So here comes my card for this biweekly challenge over at the House Mouse and Friends Monday Challenge which is themed Spring. I chose this lovely image because it make my think of all the spring-feeling that is starting to bubbling up inside me. The coloring is of coarse made with copics. The flowers was from the beginning colored to match another paper but i think it looks pretty good anyway. But i Just love how the birdies turned out, it just love the warmth and the depth that happened. All the papers are from Bo Bunny’s collection Kitchen Spice. The brownish paper had the same pattern as the pink/peach one so I stamped two different background-stamps in desert stamp to get some more definition. The doilie looked better when it wasn’t glued down – it showed more. I colored some white yarn with E59 to match the cardstock and used as a twine to hold my sentiment. The sentiment is from The Craft’s Meow’s collection Get well soon and the tag from Tim Holtz’s Tiny tabs and tags which I distress with some desert Ink. The dots that is added is just made with a brown pen. 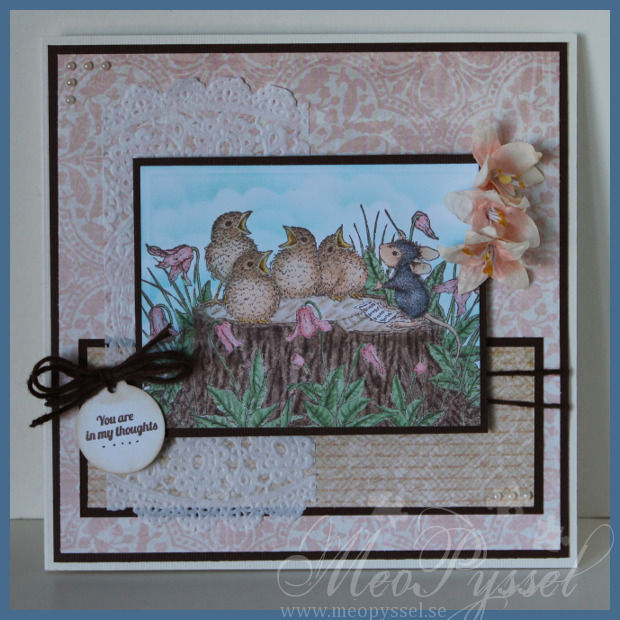 Stamp: House Mouse – Feathered Friends – Sing your heart out. 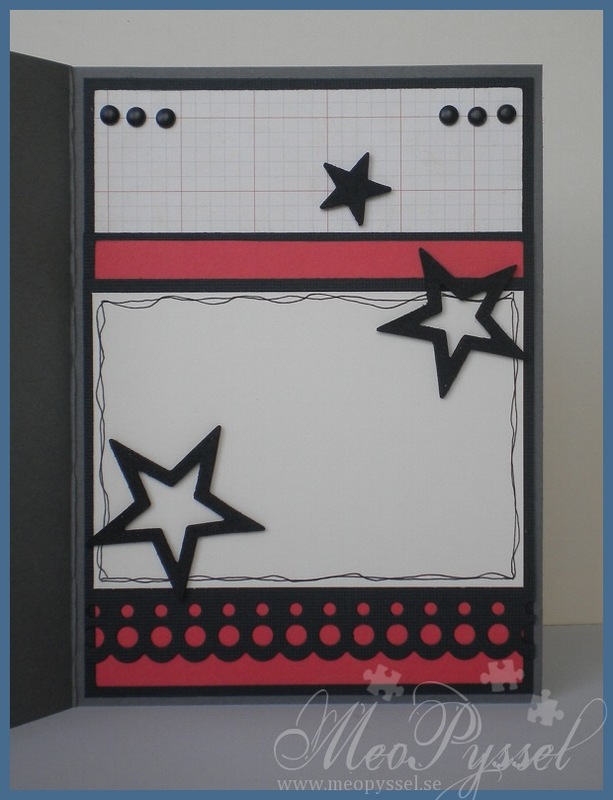 Hero Arts -Envelope Pattern. Gina K – Timeless Textures. The Craft’s Meow – Get well soon. 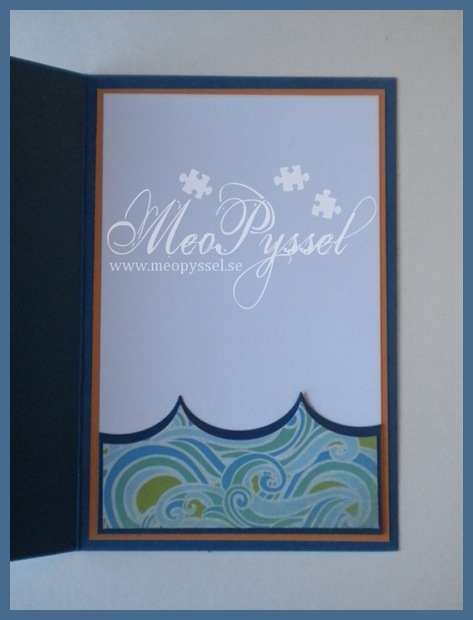 Dies: Spellbinders – Nestabilities – Large Rectangle. 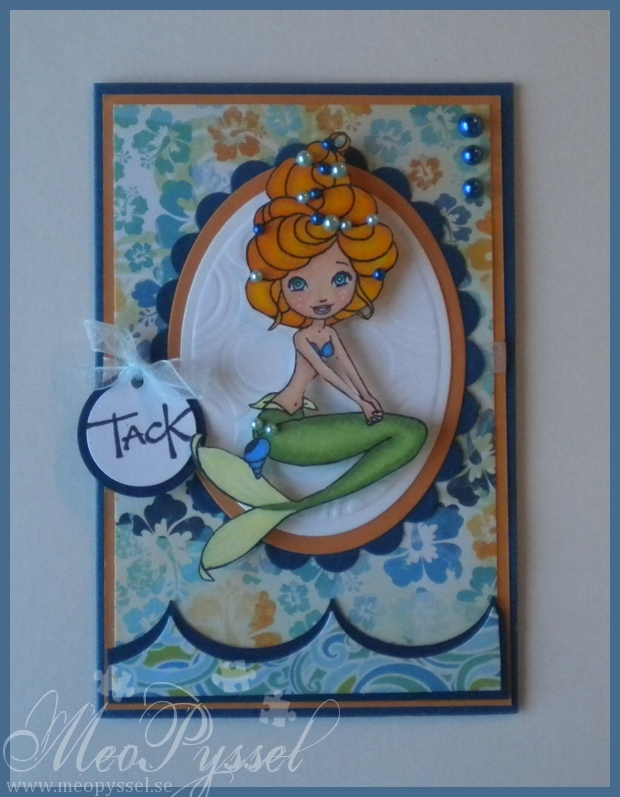 Tim Holtz – Tiny tabs and tags. Ink: Memento – Rich Cocoa, Desert sand, Tumbled Glass. 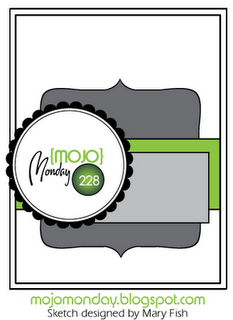 Welcome to another week on Sweet Stampin’. This weeks challenge is “Use Sentiment as a focal point“. I don’t own that many sentiments that are long enough or lyrical enough to use as a focal, in my liking. But I do own this one from Tim Holtz and I really like it and use it far to rarely. I wanted to play some with my new papers from Echo Park so I ended up with a masculine card. I got the layout from last weeks Mojo Monday Sketch. I haven’t done a Mojo Sketch for a long time and I had forgot how much I enjoyed them. The red of the papers are bit bit more dull and rust-colored in real life. The black banner is a bit raised due to the fact that i curled it up a bit with a pen. The stars dimensional. I first adhered the paper to a piece of black foam i had and then cut it out with MFT’s Stacking Stars. I just love how it turned out, I have to to this more often, I think I’ll try some letter next.I did doodle around the edge of the sentiment, it looked far to empty. The inside is made with the same thought and material. The only exception is that the brads are different,I ran out off the smaller ones like on the front. I also forgot that dimensional stars might not have been the best idea for an inside but it closed good enough. 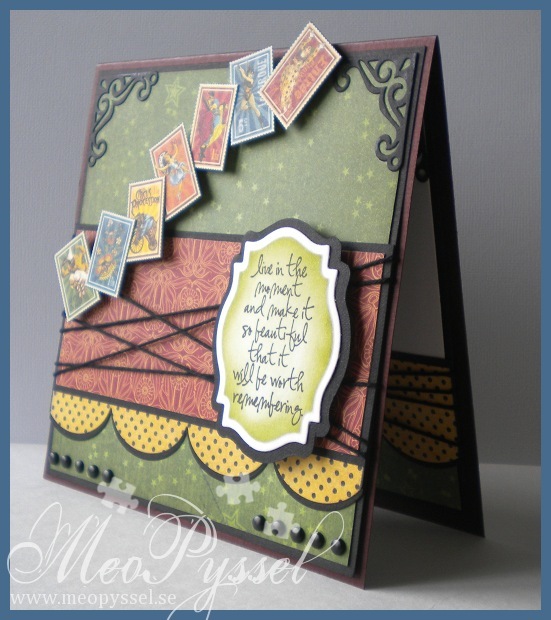 Dies: Spellbinders – Nestabilities – Circle, Pinking Circle. My Favorite Things – Stacking Stars. 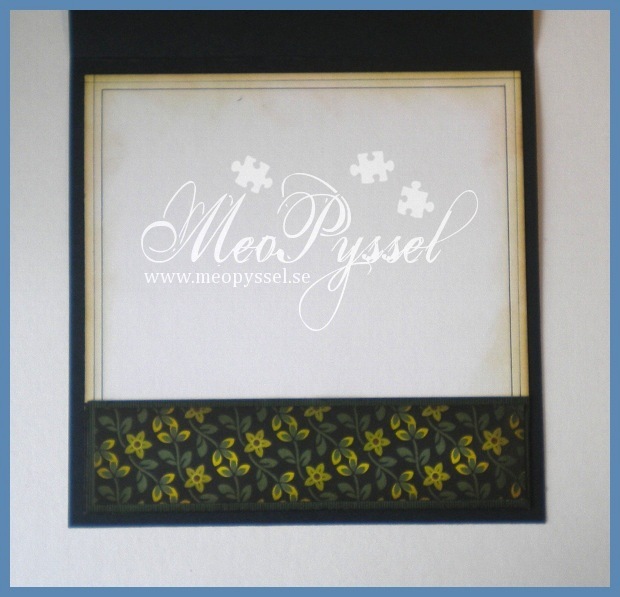 Nellie Snellen – Lace Edge Border. So today we did some labels for one Björn’s beers. 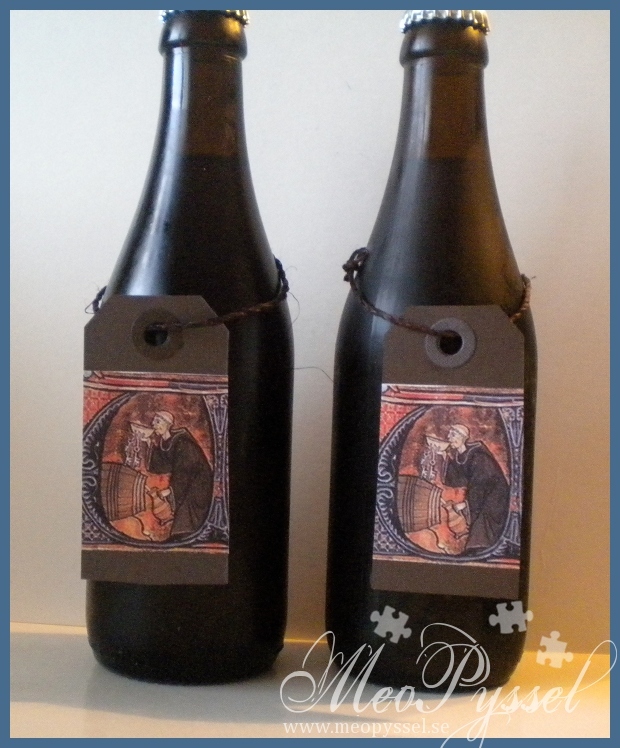 The label is just cut out in brown cardstock with Tim Holtz’s die Tiny tab and tags. 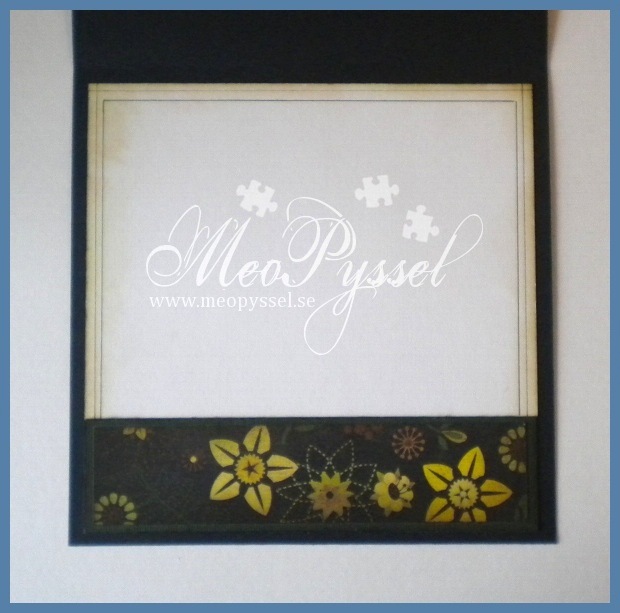 I did use up all my scraps of brown, so they are in different shades of brown – but only the dark ones. The circles that is added is in another brown, or black, to get some contrast. The image is one that Björn found (online I think) that was a good one for this type of beer. We decided to make the labels as hang-ons so we could re-use the labels for the next batch with same recipe. The twine that is used is a stiff one (bit hard to tie) but give of this nice rustic look. Tim Hotlz – Tiny Tabs & tags. The other day my dear mother and her friend Daiga came by to talk about christmas-cards. Daiga is so far my biggest customer and she love House Mouse. After some coffee and a lot of house Mouse-stamping she deiced she wanted 20 christmas-tags, 15 small singled sided cards and 6 folded cards. 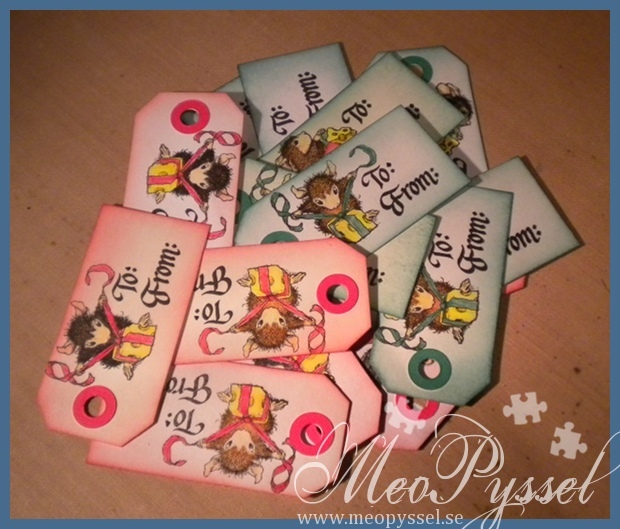 So yesterday i started up with the tags and I justed finished the tags. So here comes the result. 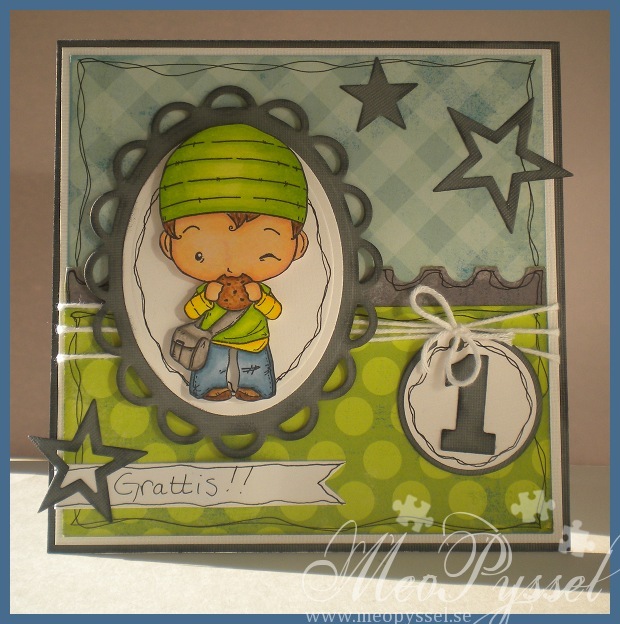 The tags is created by using Tim Holtz’s Tiny tabs & tags and the images is from House’s Clearstamp set Christmas. The images is colored using colored pencils and the edges have been distressed with Fired Brick or Pine Needles. On the image the red ones look a bit pink but they do look red in real life. After looking at the photo i just realized that it’s only the image with the cheese that shows, but on half of the tags (apparently the lower half) I also used the mouse with the stocking. Tim Holtz’s Tiny tabs & tags, House Mouse Clear stamp set Christmas and Distress Inks (fired brick and Pine needles). This weekend my twin cousins will get confirmed so i have made a card for them to go along with the gift. Sense they are twins I deiced to use the same layout and the same paper but switch among the patterned papers. 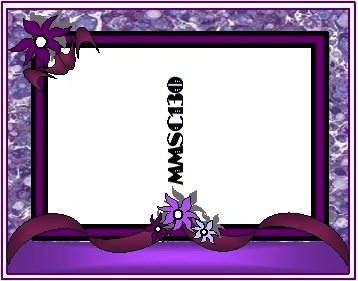 I have troed to ge a more maskuline and rough clean stile if that makes sence. Because it’s summer (and the fact that i got it home yesterday) i deiced to use Basic Greys collection Origins. 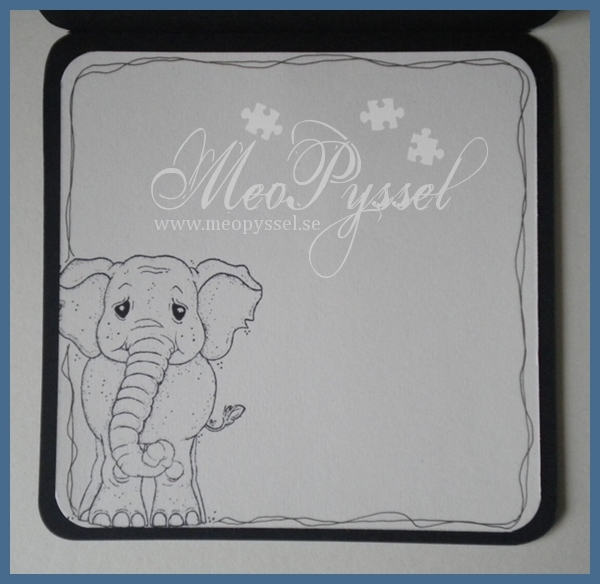 I have used papers from the 6×6″ paperpack and some single 12″ papers. I have tried to have one brighter and one darker card. The layout is from this weeks Inspirational Card Sketches, a bit modified but i hope everyone can see the similarities anyway. The H’s are for their names (Henrik and Harald) and I made them by drawing a template that i then traced four times. On the ones with the patterned paper i then cut away a small portion on all sides. 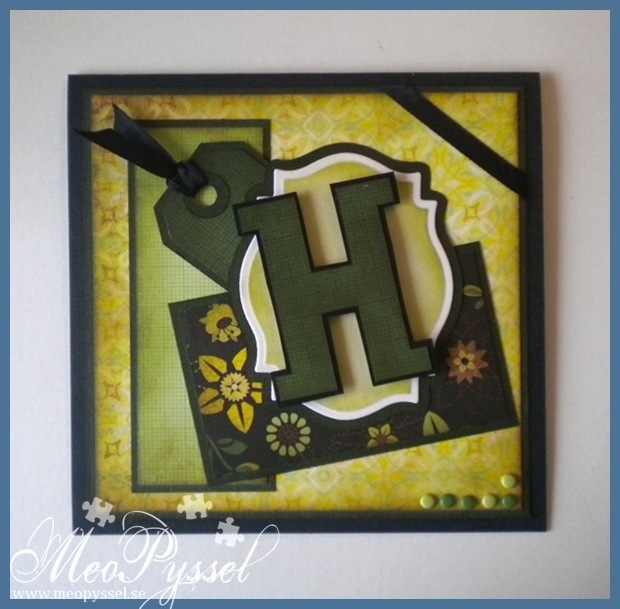 The frame for the H is made with Spellbinders label 18. 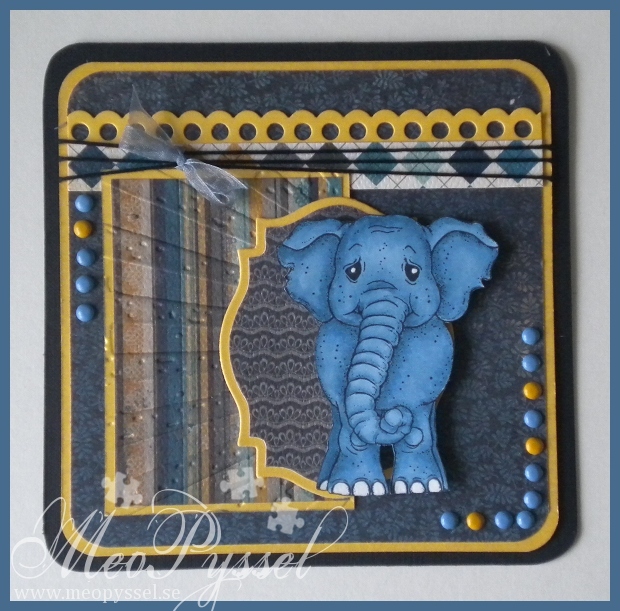 The tag is made with Tim Holtz’s die Tiny tabs and tags. 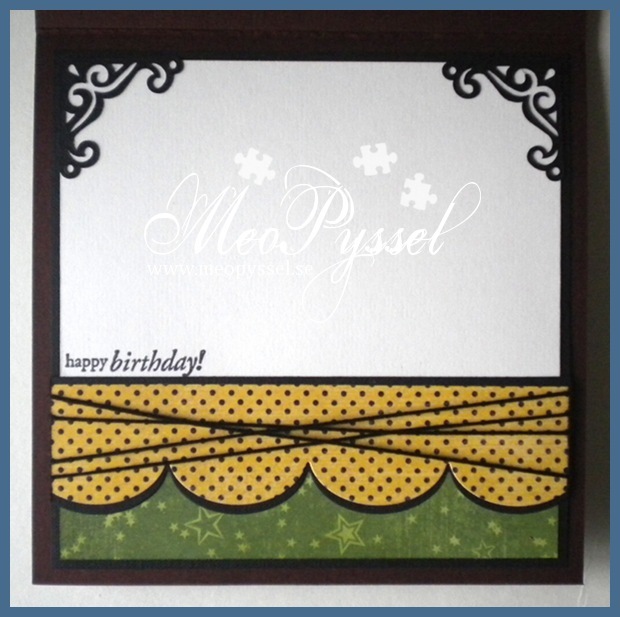 The ribbon used for the tag and for the corner is a regular satin black ribbon. The dots in the lower corner is just some different colored brads. 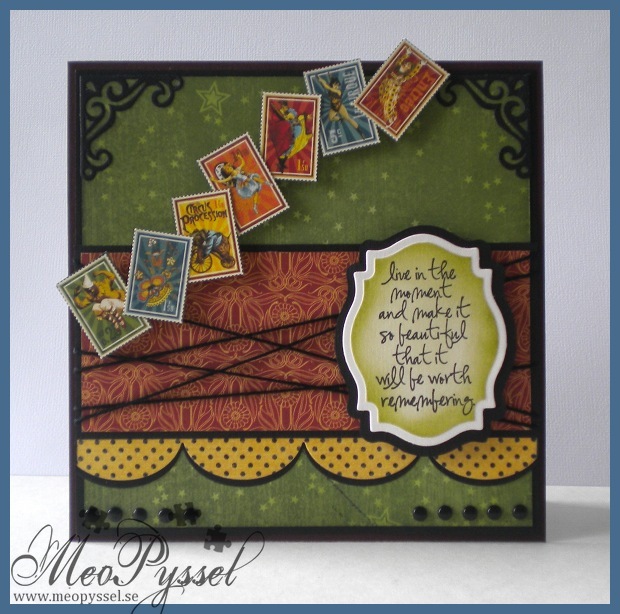 All the papers and the frames have been distressed with distress inks. All the papers have been distressed with Peeled Paint and a little bit of Vintage Photo. The frames have been distressed with Shabby Shutters and a little bit of Peeled Paint. 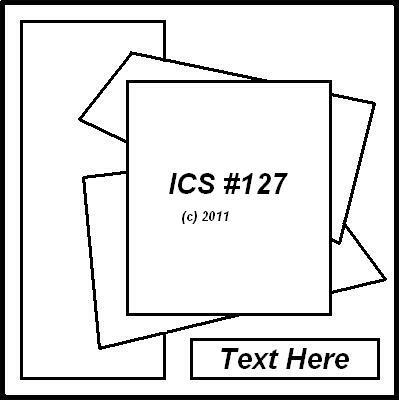 The insides are also copies of each other and are only different by the paper that is used on the bottom. The chosen paper is the same as the on the from so there is a connection between the two pages. You can see the insides here and here. I left a lot of white space so all the families signature will fit;). 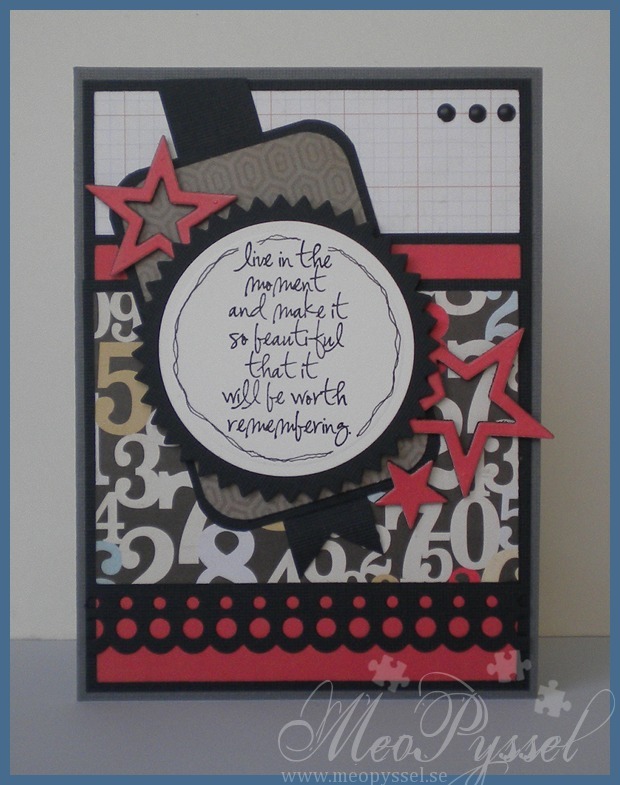 Dies: Tim Holtz’s Tiny tabs and tags, Spellbinder’s label 18. Other: Peeled Paint, Vintage Photo and Shabby Shutters Distress Inks.